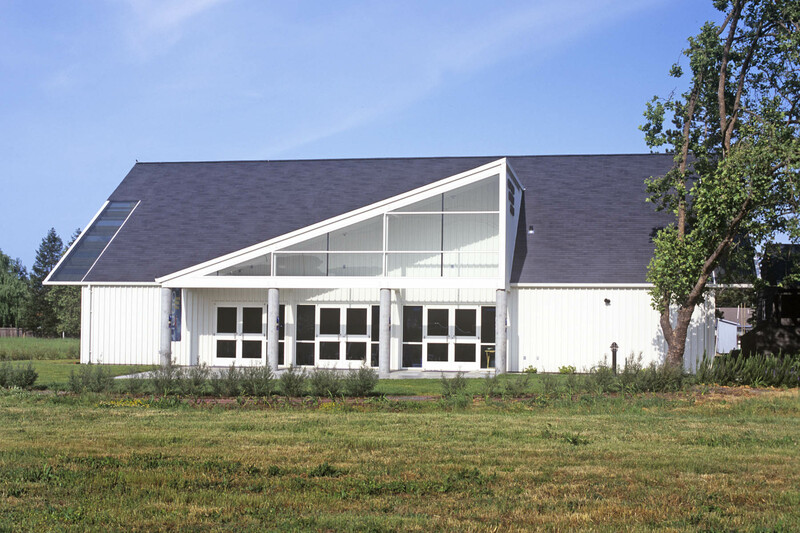 This project is the first phase in a satellite, master-planned campus. 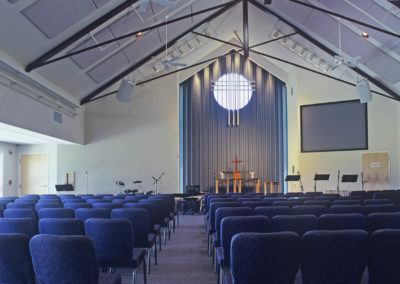 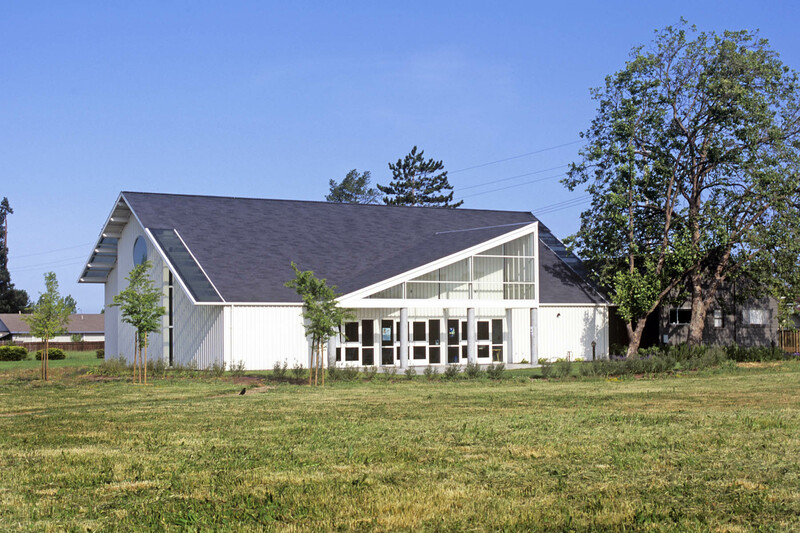 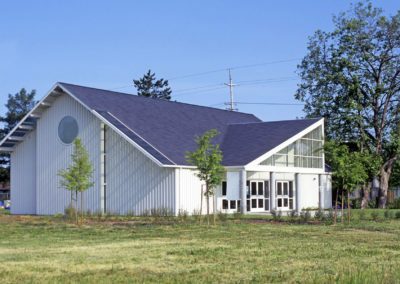 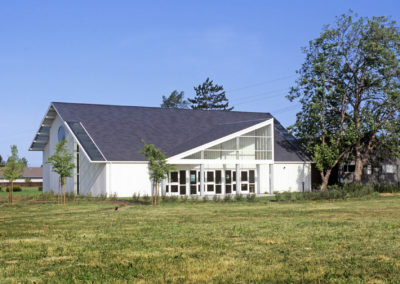 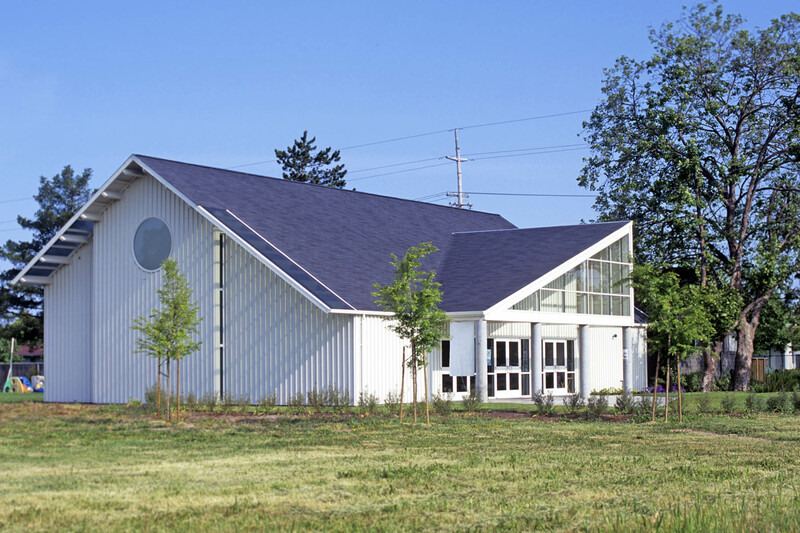 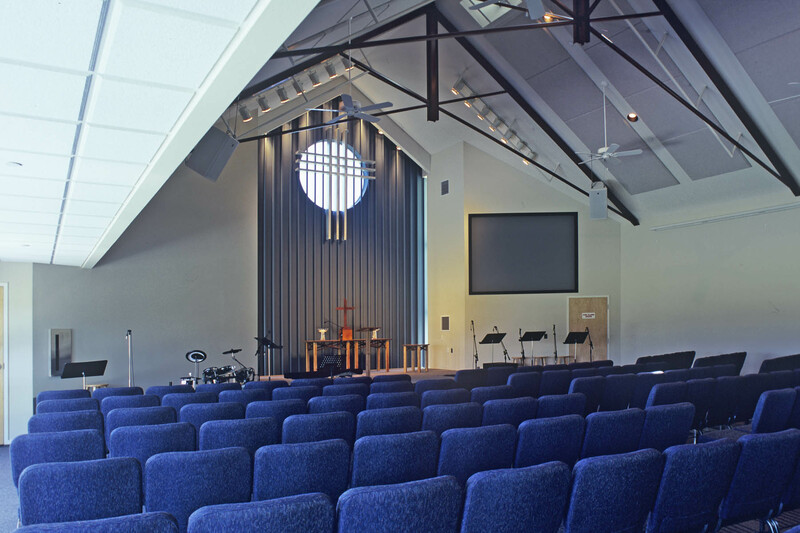 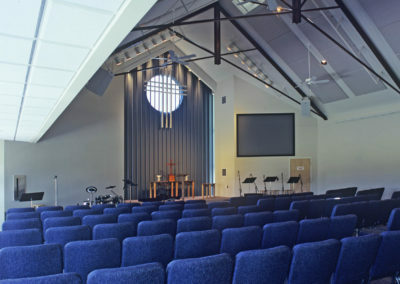 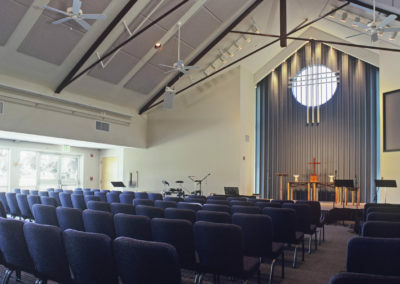 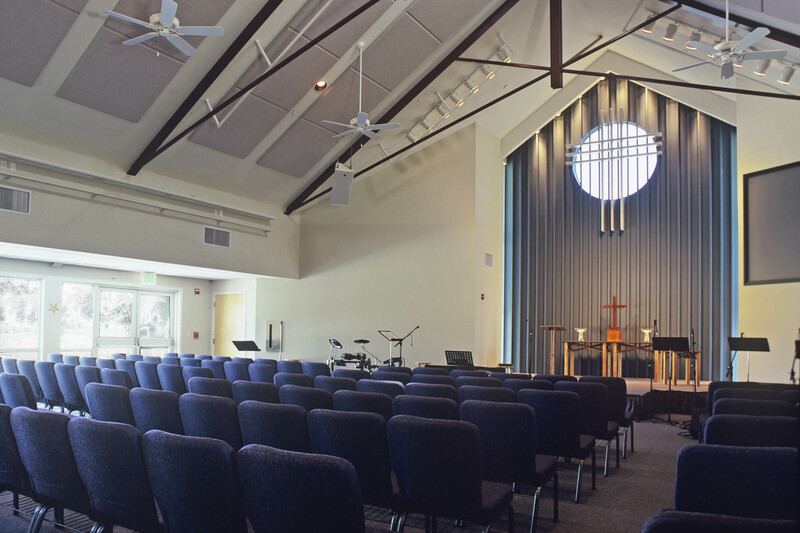 The small, 4,100 sf multi-use space was designed to meet the needs of a worship space, community center, and classroom. 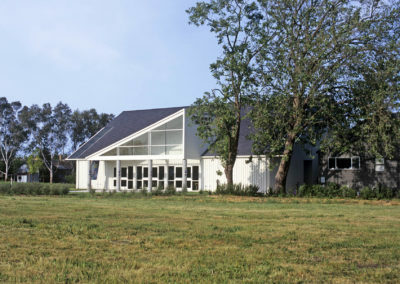 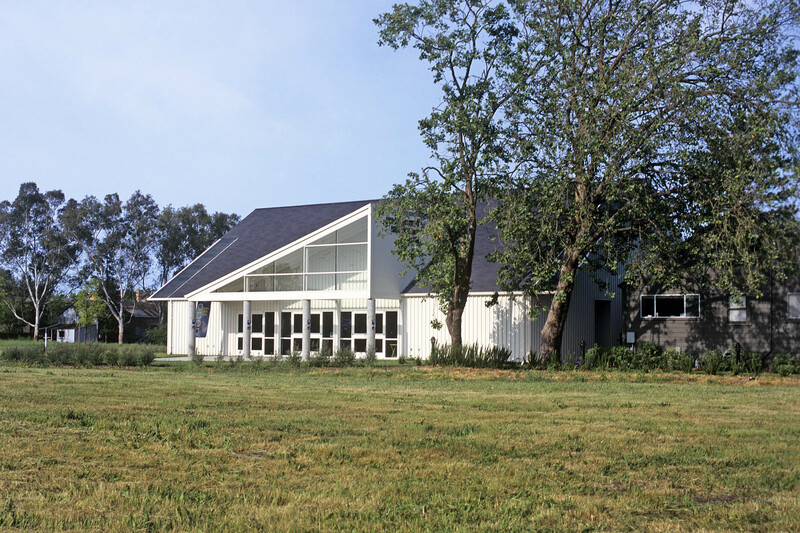 An important design element was to retain and connect the existing Community Building (a converted farmhouse) to the new structure. 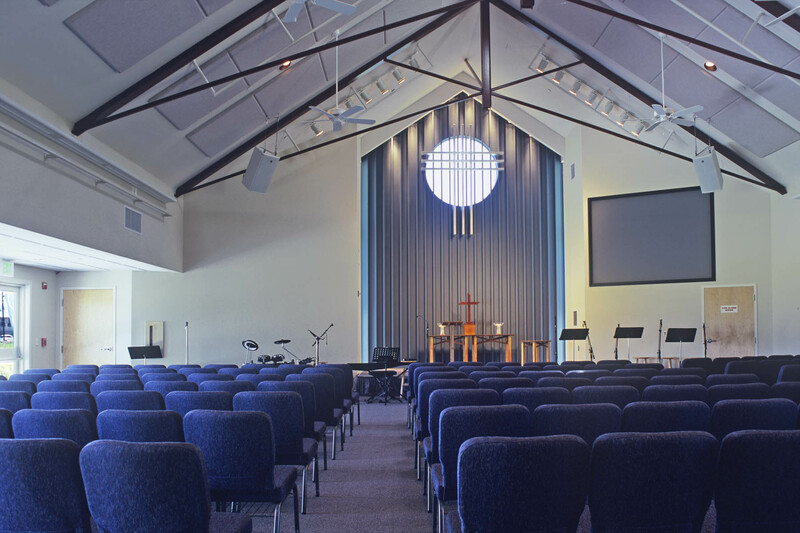 The facility employs a sophisticated audio/visual system that includes a rear-projection screen, acoustical treatments and integrates natural day-lighting into the design. 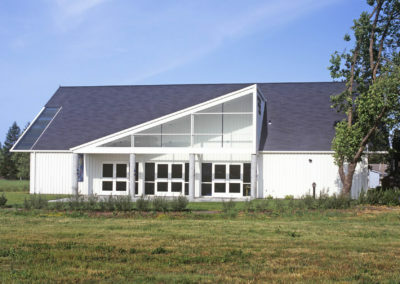 Stony Point Hall and the campus Master Plan were designed by Craig W. Roland, FAIA; construction documents and construction administration were provided by GLASS ARCHITECTS.